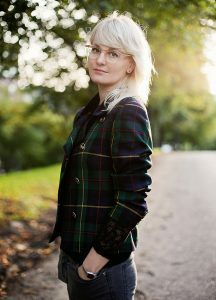 Every shoe as well as every collection has a story of where Terhi Pölkki was in life at the time of the design process. Finnish shoe designer Terhi Pölkki said ‘no’ twice when her friend asked her to come sell her shoes in New York. Third time’s the charm: now her shoes are on shelves across the US. LBD, little black dress, is a concept attributed to the legendary fashion designer Coco Chanel. Terhi Pölkki Shoes’ office in central Helsinki has its own LBD: a little black mixed-breed dog, obviously known as Coco. Pölkki shares the space with two other design brands, but today it’s just Coco and her, recovering from a flu. Soon, she’ll be the one flying around; she’s got trips lined up to such destinations as Portugal and New York. For someone whose brand carries her very own name, it can be difficult to let go of the reins. Pölkki notes that there’ll be learning curves ahead trying to let someone else take care of some of the things she now deals with alone. “I’ve had a hard time understanding that I’m running a business here, not raising a child,” she admits laughingly. It’s no wonder the shoes carrying Terhi Pölkki’s name feel like her offspring: she was 19 years old when her lifelong love affair with shoes had its first spark. She had always wanted to be a fashion designer, but working in a shoe shop during her gap year made her focus on footwear. After studying shoemaking in Finland, Pölkki was determined to do a master’s degree in London. So, she applied and got accepted to the institution of her dreams. During the five years Pölkki spent in London, she designed shoes for high street brands and travelled around the world visiting factories in India, China and Brazil. She started to ponder over how, in some cases, everything was dictated by speed and price over quality and transparency. 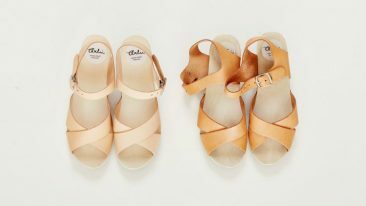 Terhi Pölkki Shoes was founded in 2011. 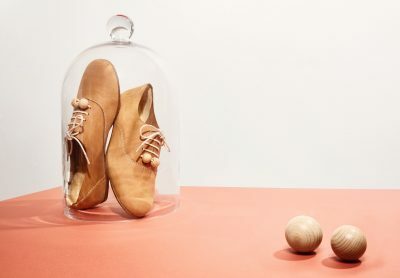 At that point, she already had a clear vision of what she wanted to do: minimalist, practical footwear made from sustainable materials, wood and vegetable tanned leather. Terhi Pölkki Shoes are timeless and classy. Pölkki wants them to be noticed but not look last-season in a few months’ time, as well as practical for everyday wear instead of Christmas party glitter. She’s not the only one fond of these features: in 2016, she won the Taito-Finlandia award, and in 2014 the Accessory Designer of the Year award at the ELLE Style Awards. Shoes designed by Pölkki are manufactured in a small, family-owned factory in São João da Madeira, Portugal. All vegetable-tanned leather is locally sourced. Each design is named according to someone or something important in Pölkki’s life. This way, every shoe as well as every collection has a story of where she was in life at the time of the design process. Terhi Pölkki Shoes don’t grow old as the seasons change. The shoe-shaped stories are for sale in places like Switzerland, Dubai and North America. 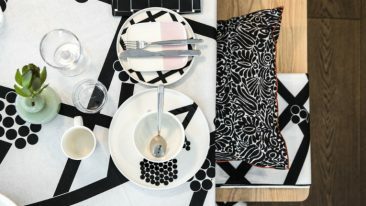 Earlier this year, Pölkki signed a deal with Anthropologie, which is a part of the multinational clothing corporation Urban Outfitters. Entering the US market happened partially by accident. Pölkki’s friend from university had invited her to the US twice, and she only agreed the third time. She instantly got a deal with a really good store. In general, Pölkki has been harnessing the breaking-the-walls spirit she had when she was younger. She emphasises that as an entrepreneur, particularly when going solo, one needs to have confidence in intuitions and not rely on outsiders’ advice. 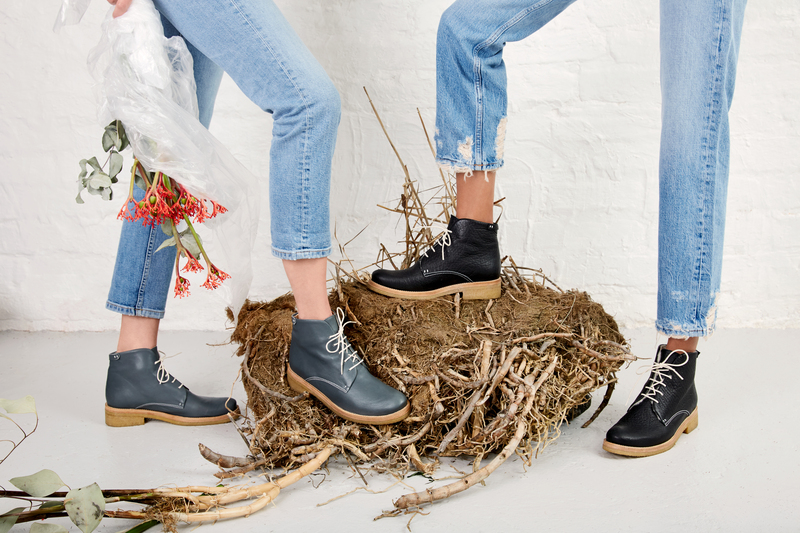 These shoes were made for walking: for Terhi Pölkki, comfort and convenience matter.